Every person familiar with Greek food knows that Sifnos is the motherland of Greek cuisine. This beautiful island, located in the complex of Cyclades in the middle of the Aegean sea, is origin land of Nikolaos Tselementes, the iconic Greek chef born in the 20th century. For those of you not familiar with the name, Tselementes was the author of probably the first Greek cookery cookbook. 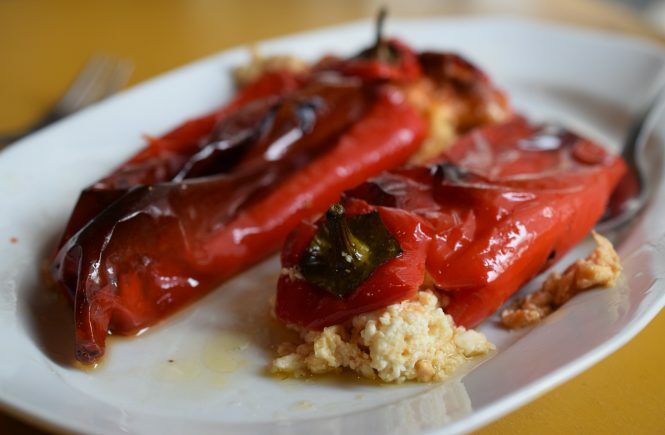 There are many opinions as to the actual contribution of Tselementes to Greek cooking. This is a topic I will definitely get back in another post. Before I go any further, please let me point out an important technicality. Do you have any idea how difficult it was for me to get this recipe for butter cookies?! I’m telling you, it was extremely hard to convince the local ladies of Sifnos to share their cooking secrets with me! This traditional recipe passes from one local cook to another. Although I am not from Sifnos, the wonderful ladies of the island revealed their tricks to me. 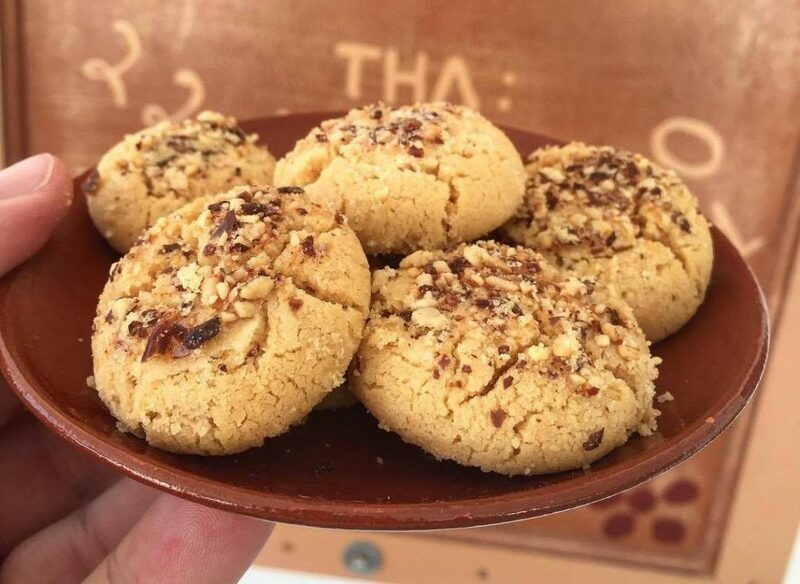 Greek butter cookies from Sifnos are a treat for coffee and are made throughout the year. Some people call them “kourambiethes”, another famous Christmas cookie from Greece, minus the icing sugar. Of course, the secret lies to good quality butter and almonds. Besides, many desserts from Sifnos such as the amygdalota, require almonds. This recipe really works like magic! 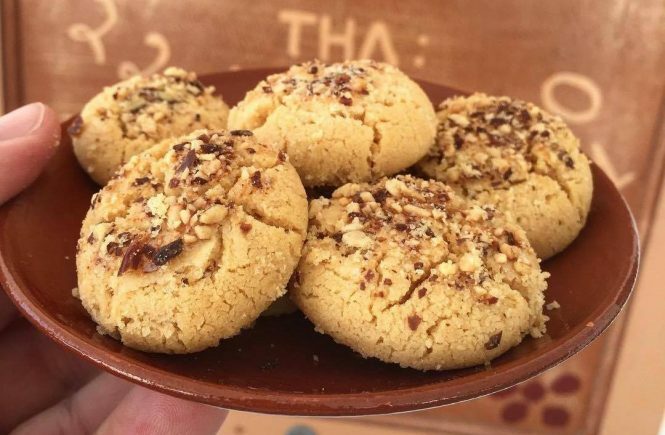 With no further delay, here is the traditional recipe for Sifnos butter cookies! 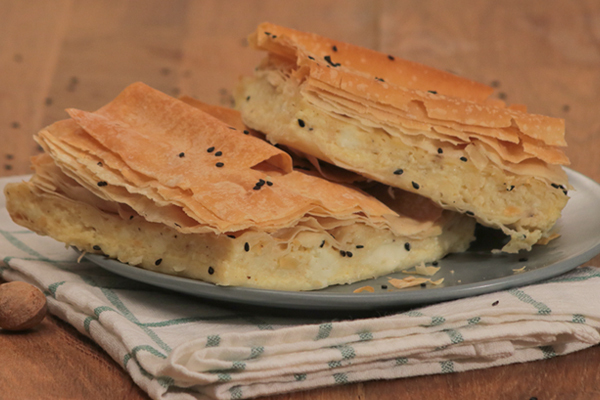 Greek Butter Cookies is a classic recipe. Sweet, crumbly, buttery, aromatic, perfect for a treat. Preheat the oven to 170oC / 340oF. In a standing mixer with the paddle attachment beat butter with sugar until fluffy. Gradually add the eggs, beating after each addition. Beat in sifted flour until mixture is incorporated. Scoop about 1 tsp dough and roll into a ball. Place on a baking pan covered with baking sheet. Repeat, placing cookies 2 in. apart. Brush them with egg white. Sprinkle with chopped almonds. Bake for 20 minutes, until golden and crispy.